The first record of a seal in China is from 544 BC. Actual bronze seals survive from the 5th century BC, and the practice of sealing must be some centuries older. The emblematic characters cast on Shang dynasty (1600–1046 BC) bronze vessels imply the use of something like a seal for impressing on the mold. 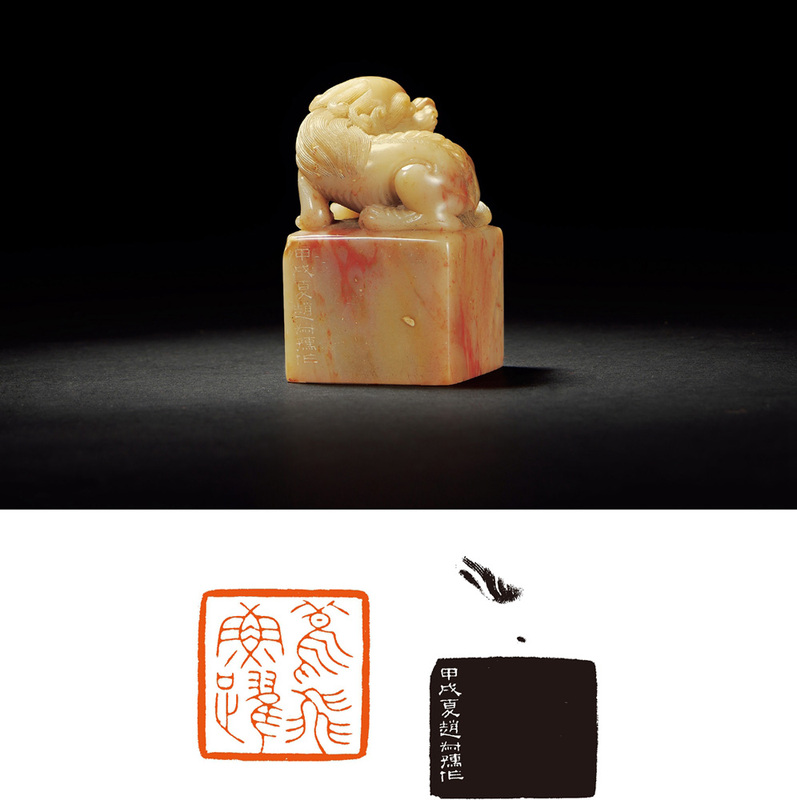 The royal seal and other seals of high office were termed xi (璽); other seals of rank and appointment were yin (印). 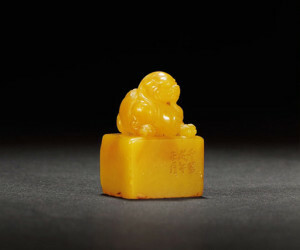 In the Tang dynasty (AD 618–907), it is said that Empress Consort Wu (武则天) disliked the fact that xi (璽) was close in sound to death (si, 死) or rest (xi, 息), so she changed the name of seals to treasure (bao, 宝). In subsequent centuries, both names were used. 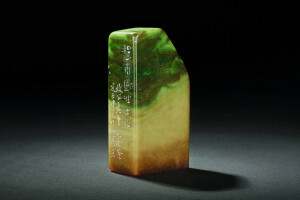 The imperial seal was traditionally large and square, often made of jade. 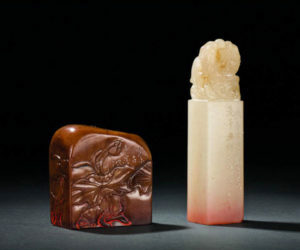 The most important of these seals was the Heirloom Seal of the Realm (傳國璽), which was created by the first Emperor of China, Qin Shi Huang (秦始皇), and was seen as a legitimizing device embodying or symbolizing the Mandate of Heaven. 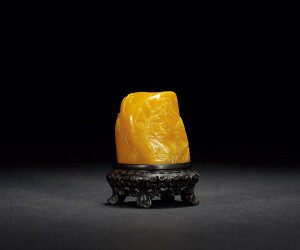 The Heirloom Seal was passed down through several dynasties, but was lost by the beginning of the Ming dynasty (1368–1644). 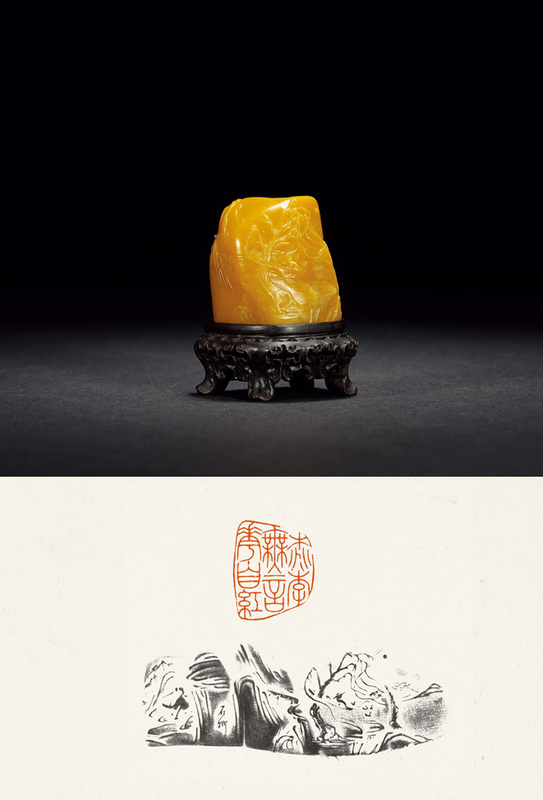 Besides the Heirloom Seal, the Emperor also had a set of other imperial seals, and the number gradually increased over the years. 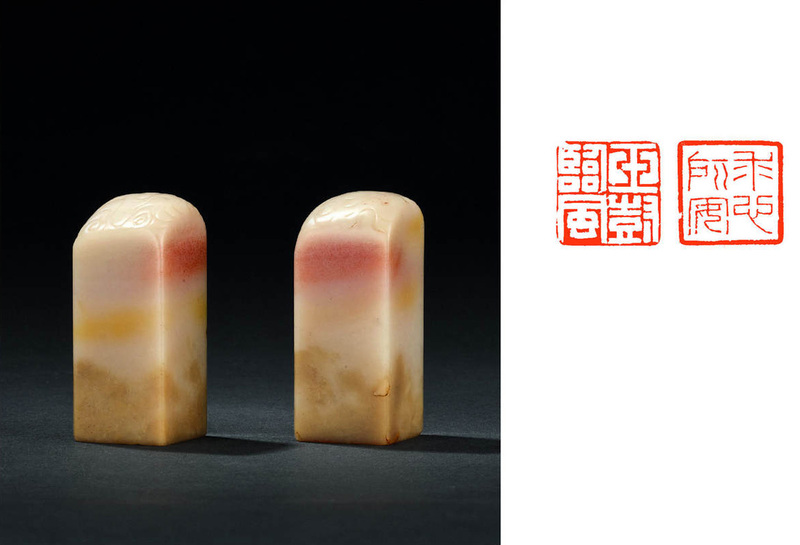 In the Qing dynasty (1644–1911), the Qianlong emperor selected a total of 25 seals for official use. 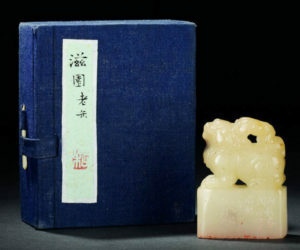 One of Qianlong’s official seals. 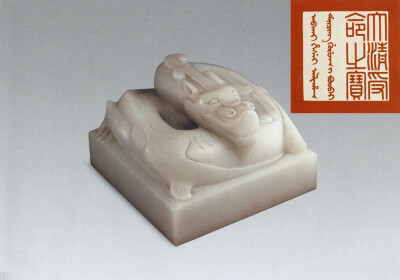 White jade carved with dragon. Palace Museum, Beijing. 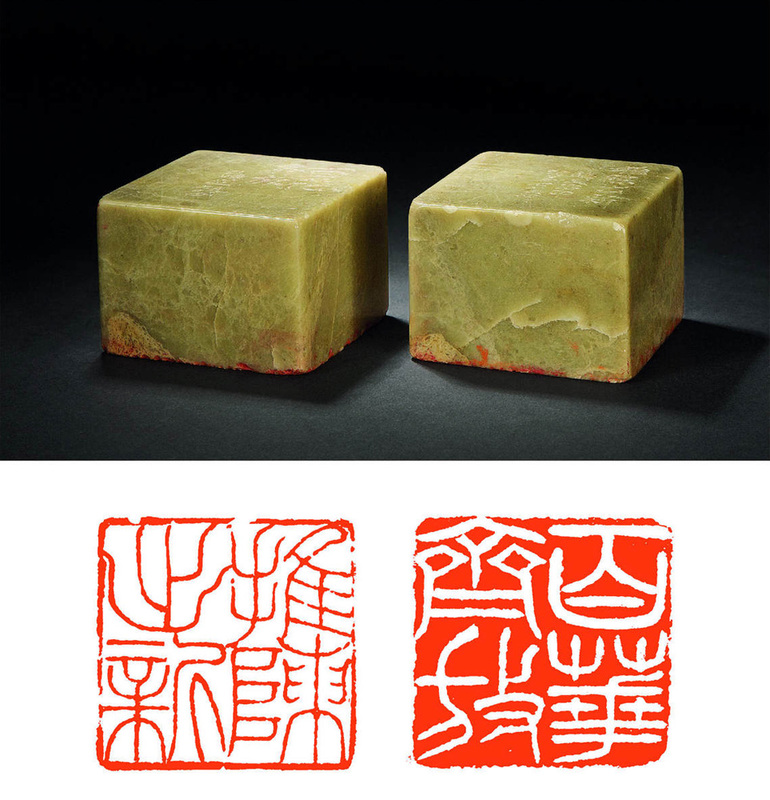 The private seals (印章, 印鑑, or 圖章) used in China, commonly square and reading merely “seal of so and so”, served as a confirmation of signature or a sign to be verified. They are made of stone, ivory, wood, bamboo, or jade. Used by artists and collectors to mark their calligraphy, paintings, and books, there is hardly a limit to their fanciful designs and phraseology. A man might own scores of seals, using his many sobriquets, especially those suggesting unworldly and rustic tastes. 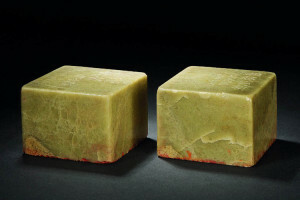 A seal is impressed in red ink—made of cinnabar in water and honey or suspended in sesame oil, hempseed oil, etc.—held ready on a pad of cotton or moss. 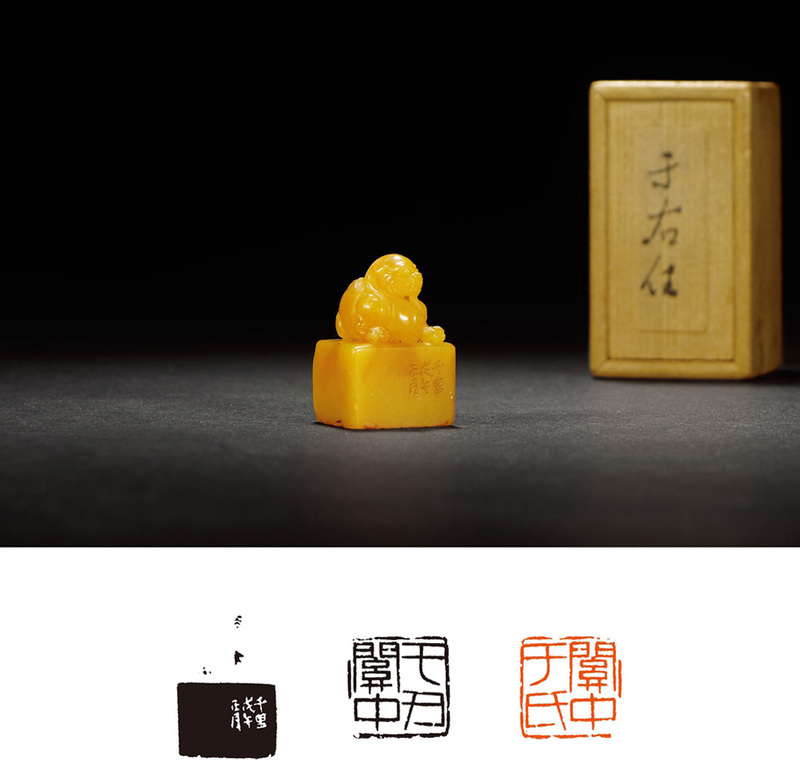 The characters can be carved either in relief (阳雕), or in intaglio (阴刻). The former type appears in red (zhuwen, 朱文 or 阳文); while the latter appears in white (baiwen, 白文 or 阴文) against the inked ground. 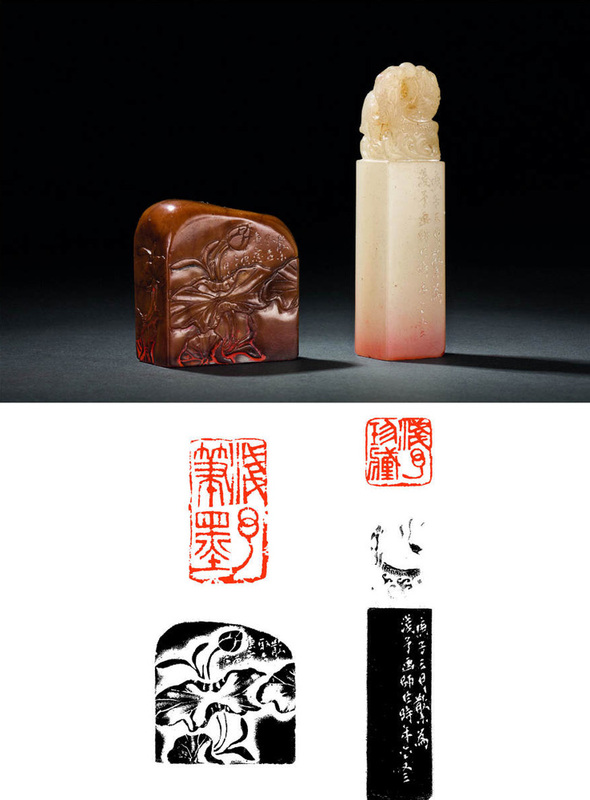 Seals are often used on Chinese calligraphy and Chinese paintings. 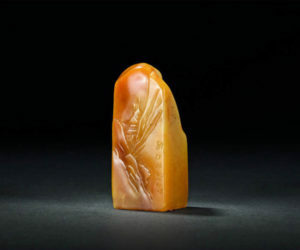 Owners or collectors of paintings or books will often add their personal or studio seals to pieces they have collected. This practice is an act of appreciation towards the work. 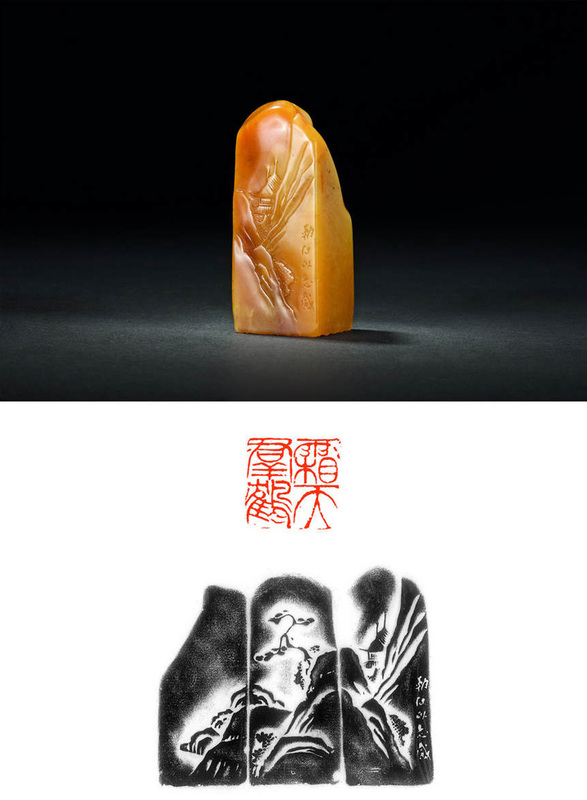 Some artworks have not only seals but also inscriptions from the viewers and collectors. 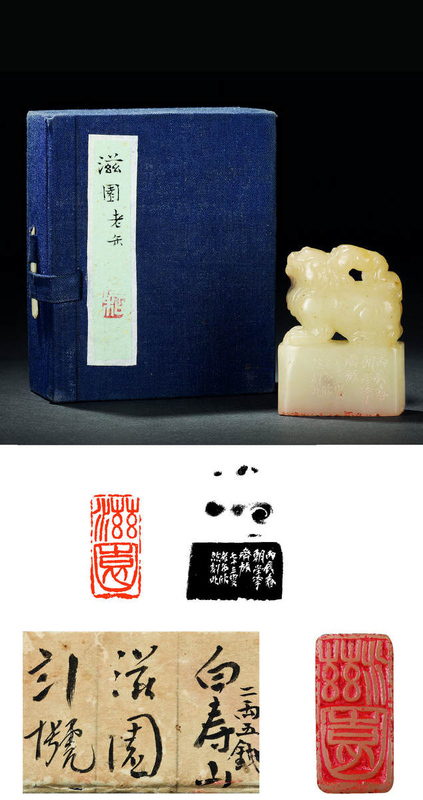 For example, the Qianlong emperor was famous for his literary ambitions, including calligraphy, and had produced a large amount of texts affixed with his seal. 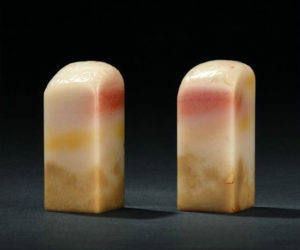 He had as many as 20 different seals for use with inscriptions on calligraphy works and paintings that he collected. 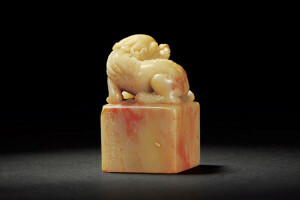 A seal of a famous collector or connoisseur would become an integral part of a work of art and could substantially raise its value. 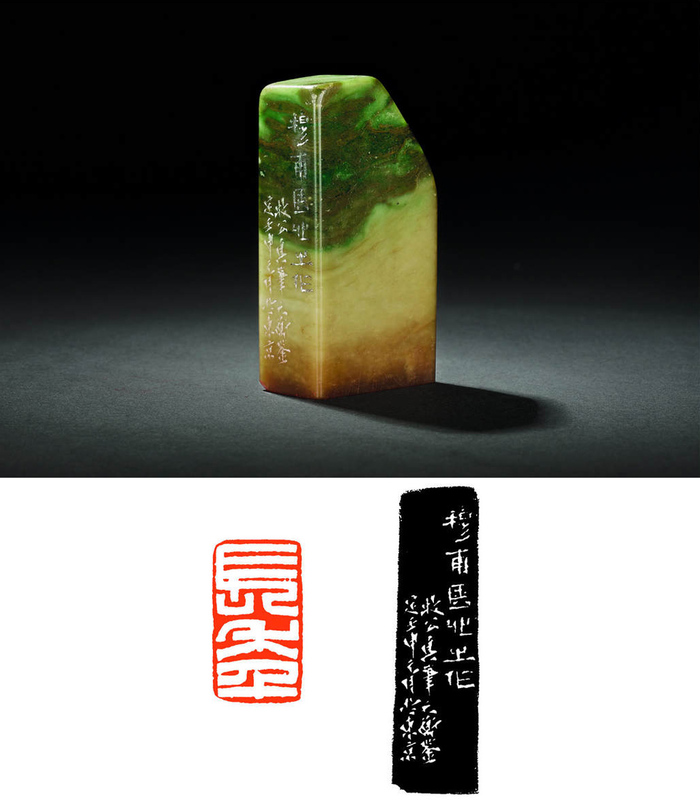 Thus in the course of several centuries, some Chinese calligraphy works and paintings become covered by dozens of different seals.